Sol Contingency – Redefining 6DoF. Proving Grounds is now available for Microsoft Windows computers. It's been developed and tested on Windows 7, 8.1 and 10 (both 32 and 64 bit). To play Proving Grounds, your computer should meet the specs below. Proving Grounds comes as an executable installer. Please read the Proving Grounds Player's Manual for more information on how to install and play the game! 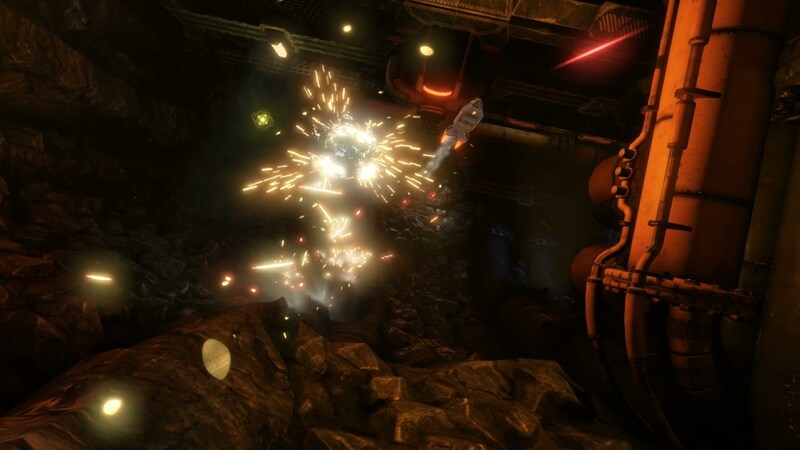 Sol Contingency is a six-degrees-of-freedom (6-DoF) action game where you strap your virtual self into a one-seater battleship and go to war against vicious drones, robots, turrets and other mechanical foes as you explore the mazes of planetary mines and research stations. 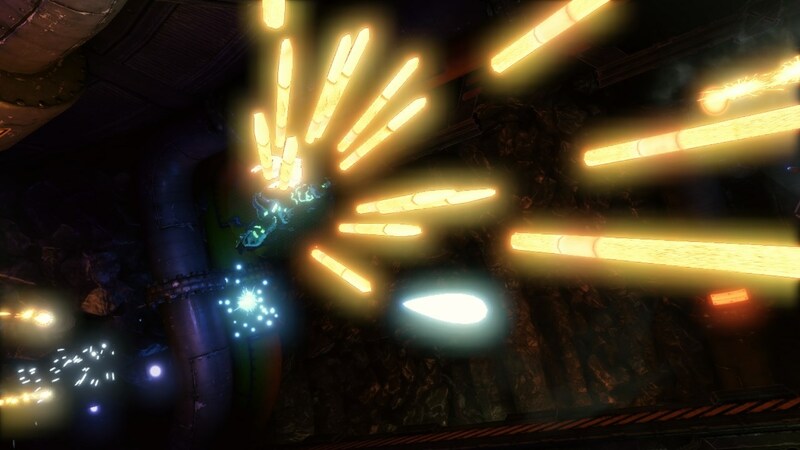 Armed with lasers and missiles, you will choose your path through the claustrophobia-inducing tunnels, going not just left and right, but up and down too! 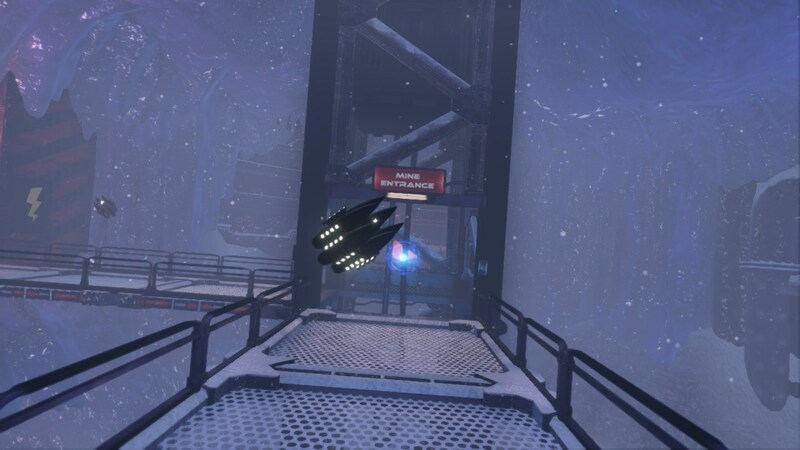 With freeform rotation in zero gravity, your ship can go in any direction you want. This is the real definition of 3D shooting!  We are thinking big with Sol Contingency's single-player campaign and the various ideas we have for multiplayer too. That's why we need your support to make it happen! 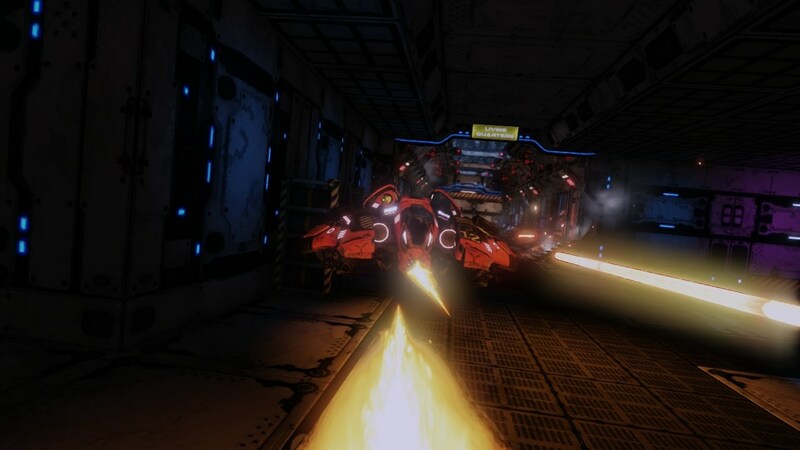 To give you something to whet your appetite and convince you that we understand 6-DoF gaming, we have crafted Proving Grounds, a playable multiplayer preview version of the game which will pit you against other pilots across the world in a 6-DoF deathmatch as fast and brutal as you can imagine! 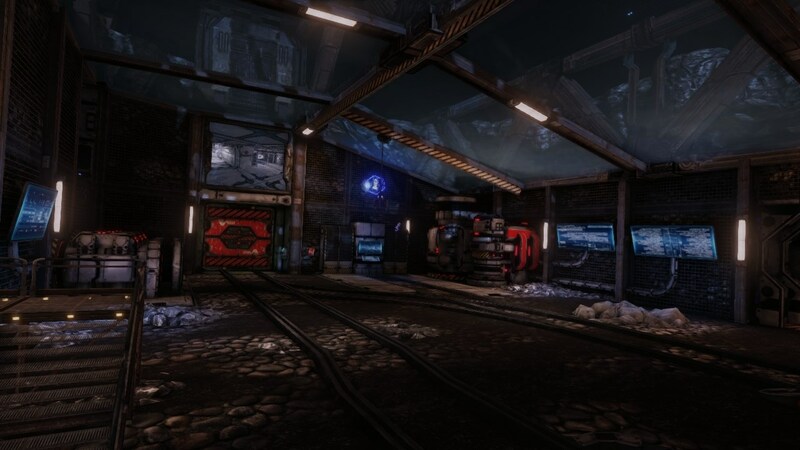 Sol Contingency: Proving Grounds was made with the Unreal Development Kit (UDK), harnessing the power of Epic's Unreal Engine 3 to give the game a current look. When we formed our team a few years ago, we were planning to stick with UDK to make the full game, single-player story included. Then Epic released Unreal Engine 4 to developers around the world, and we are picking it up to make the definitive version of our game, with single-player and multiplayer modes, after Proving Grounds has been released. 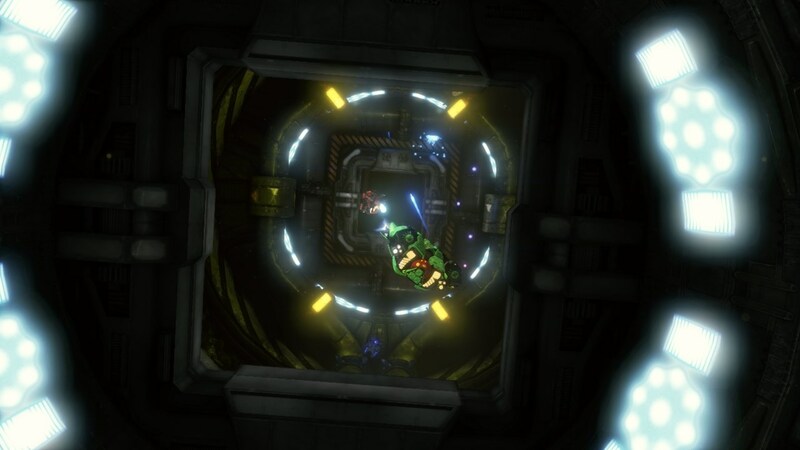 The gameplay of Sol Contingency is very close to other 6-DoF games such as Descent and Forsaken. 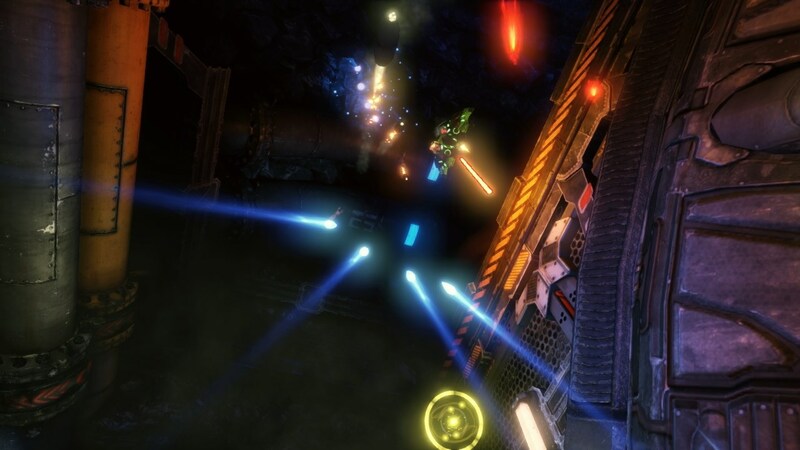 Fight menacing foes in zero gravity using all three axes of the 3D space, speed down tight tunnels and mine shafts, fire powerful energy weapons, gatling guns and missiles, charge up your shields to survive the continuous onslaught, and finally, climb to the top and win the match! However, the full version of Sol Contingency will not just be about running and gunning. The game will challenge you with puzzles, environmental hazards and security systems to deal with. Dark areas and danger from any direction will keep you on your toes. 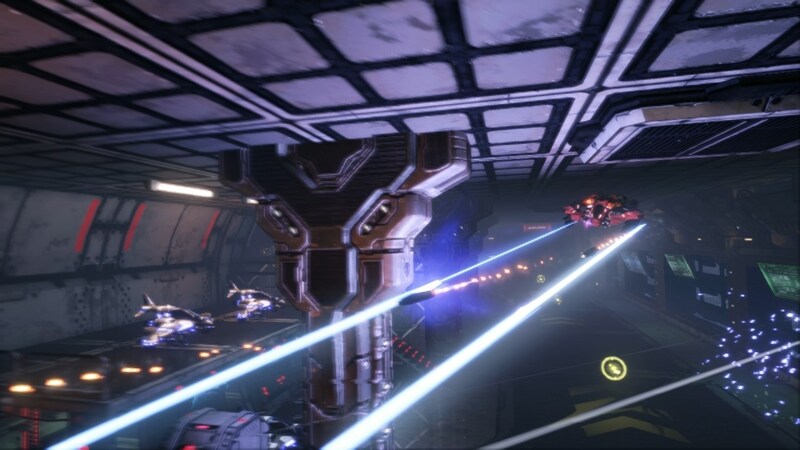 Combat will be fast paced and adrenaline pumping like in other modern action games, but with the added complexity of 6-DoF. And tying the single-player experience together, the game will offer a progressive story, set in a universe specially written for Sol Contingency. Stay up to date about the game's progress and learn how you can help by following us on Facebook, Twitter and checking out our forum too. Don't forget you can also reach us through our forum.